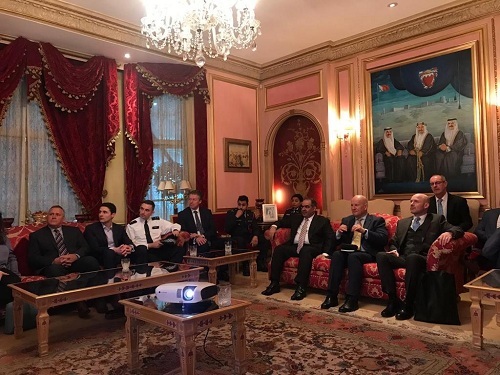 The Embassy of the Kingdom of Bahrain to the United Kingdom, under the patronage of Ambassador of the Kingdom of Bahrain in London, Shaikh Fawaz bin Mohammed Al Khalifa, held a workshop to highlight the experience of the community police personnel in the Kingdom of Bahrain, which came in implementation of the vision of His Majesty King Hamad bin Isa Al Khalifa, which believes that the citizen is the first security man and is the active partner of the public security forces in carrying out their duties towards society. The workshop was attended by Durham Police Chief, Mike Barton, a number of officials from the British Home Office, a group of British police officers and a number of police liaison officers in countries covered by the Embassy and friendly countries. During the workshop, Director-General of Muharraq Police, Brigadier Fawaz Hassan Al Hassan, reviewed the experience of the Muharraq Police Directorate in the field of community service, in addition to the efforts exerted by police officers in the field of community partnership. He also noted that community police personnel is part of the development strategy of the Minister of Interior, Lt. Gen Shaikh Rashid bin Abdullah Al Khalifa. He also reviewed the various kinds of innovative services provided by the community police personnel in partnership with community partners, including family protection, monitoring needs, organizing school traffic, ensuring the safety of students as they walk to school, in addition to regulating market traffic. Director-General of Muharraq Police, Brigadier Fawaz Hassan Al Hassan also discussed the role of police personnel in monitoring suspicious places and abandoned buildings and in protecting minors at risk, in addition to monitoring and controlling begging cases and spreading awareness on problems related to commercial transactions. He added that the Directorate has established a mechanism for cooperation with a number of relevant authorities to address phenomena that have a negative impact on society. At the end of the workshop, the attendees praised the Ministry of Interior’s initiative in the field of community police personnel and affirmed the importance of community partnership. 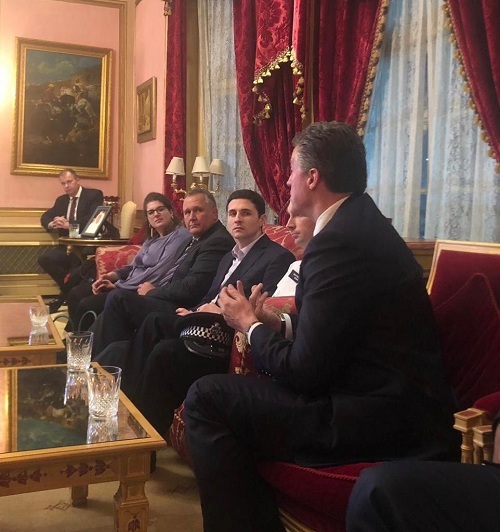 Additionally, the British police, Dutch police, and New York police reviewed their experience in the field of community through their representatives. The attendees thanked the Ambassador and expressed their interest in similar workshops held by the Embassy.